Something a little different from me this week. 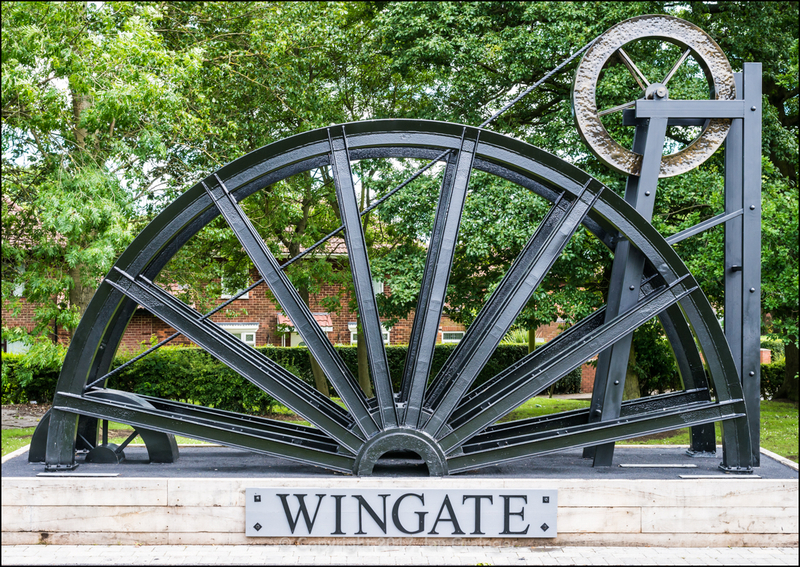 Although I live in the South of England, I actually come from the North, and after a family bereavement, I travelled back to my home village of Wingate where I stayed for a few days. Obviously, I couldn't let the time spent in the North East pass by without taking a few pictures. Unfortunately, the weather tried its best to thwart me, although it was kind for a few hours at least. This is the recently erected Memorial Wheel that commemorates the history of the village as a mining community. Considering the colliery closed in 1962, I'm not sure why it took so long, although these types of commemorative installations seem to be in vogue at the moment, with surrounding villages also having their own memorials recently put in place. 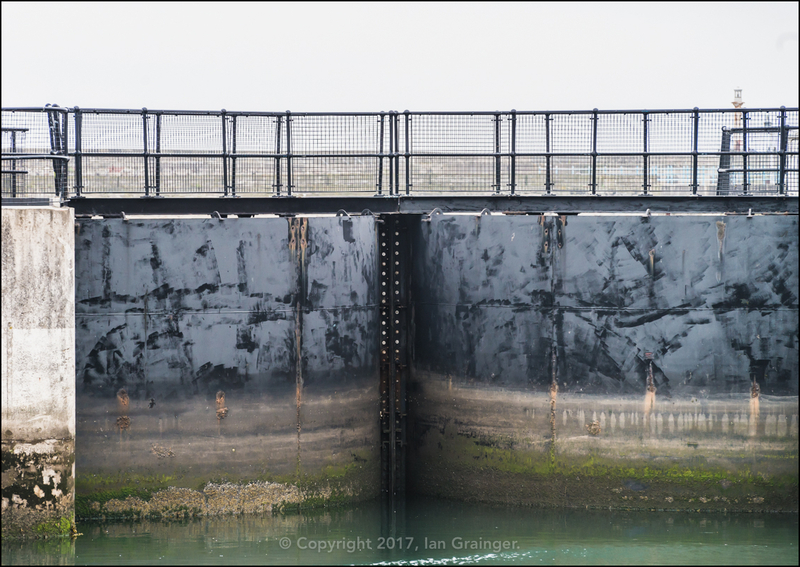 A break in the weather heralded a trip to Hartlepool Marina, where we viewed the HMS Tincomalee at Hartlepool's Maritime Experience. 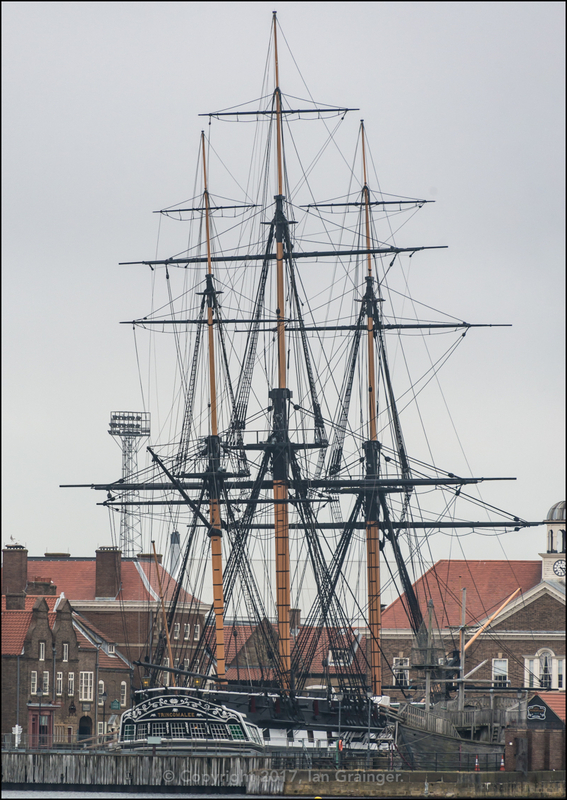 The Trincomalee is apparently the oldest British Warship still afloat, and is a Leda-class sailing frigate. She was built in India in 1817, shortly after the Napoleonic Wars. 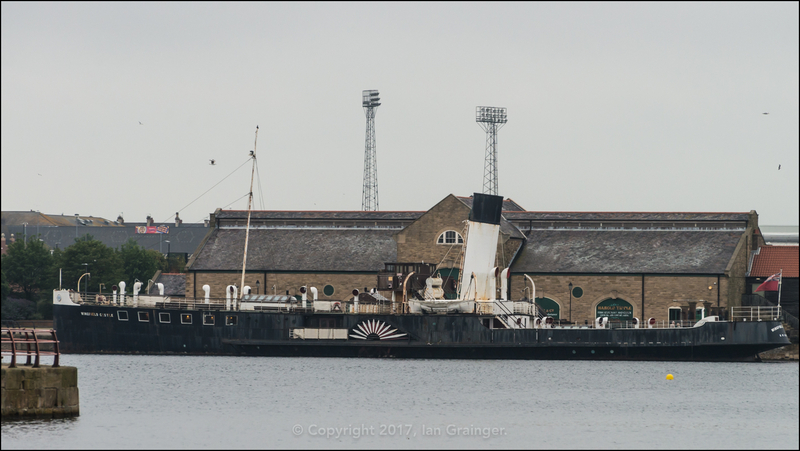 Close by floats the Paddle Steamer Wingfield Castle, which was a former ferry operating in the Humber estuary. 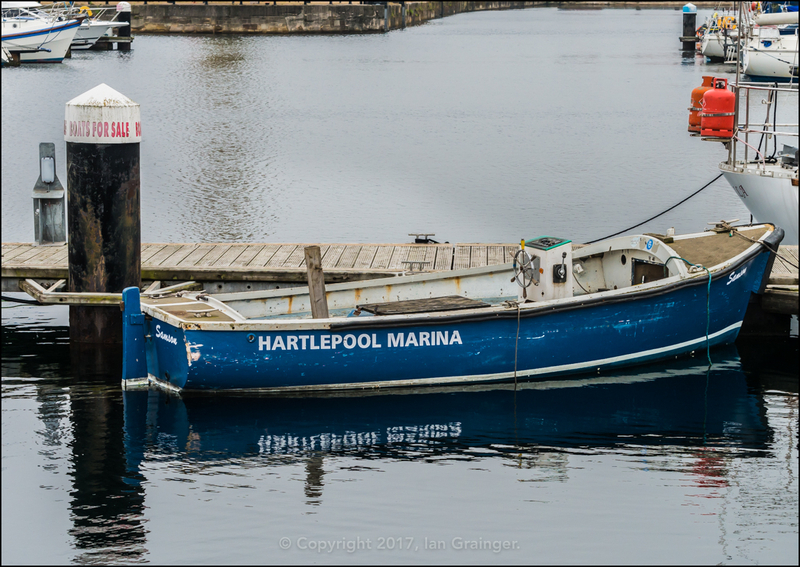 She was originally built in Hartlepool in 1934, and now serves as a floating exhibit as part of the Maritime Experience. 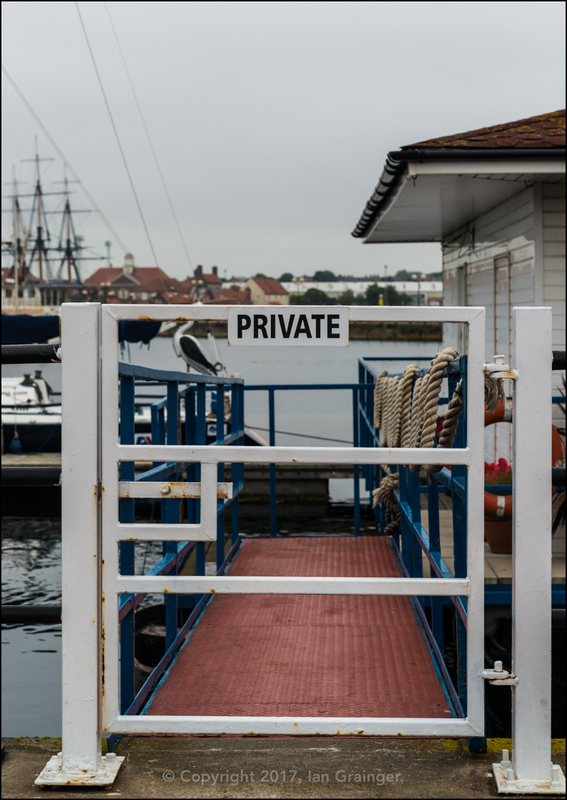 I love wandering around marinas, camera in hand, picking out little snippets of marina life. 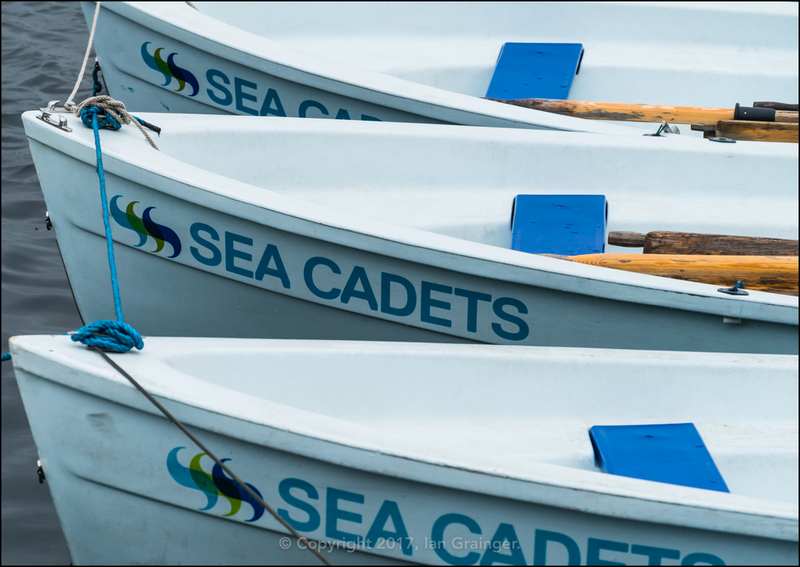 These sea cadet rowing boats caught my eye immediately, and set me away on a snap happy tour. 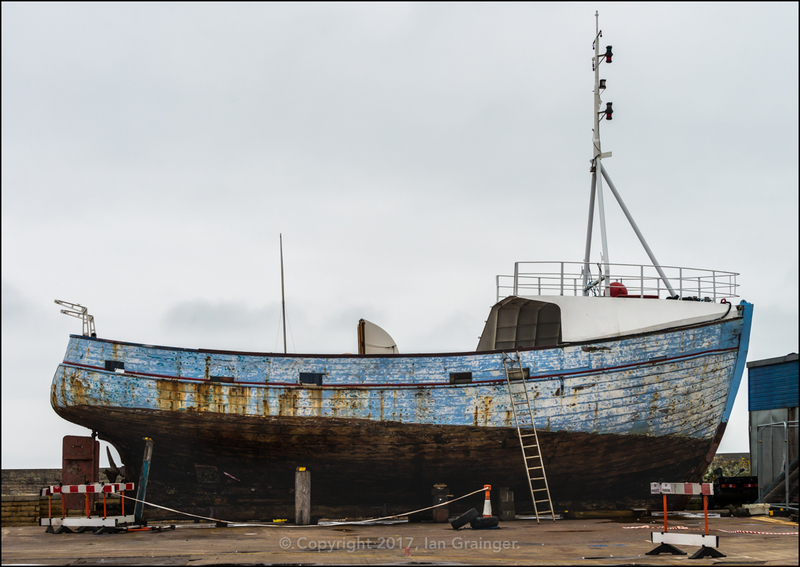 I couldn't work out whether this rather shabby looking boat was for sale, as it seems to be moored next to a bollard that proclaims 'Boats for Sale' or whether it was the Harbour Master's pride and joy! 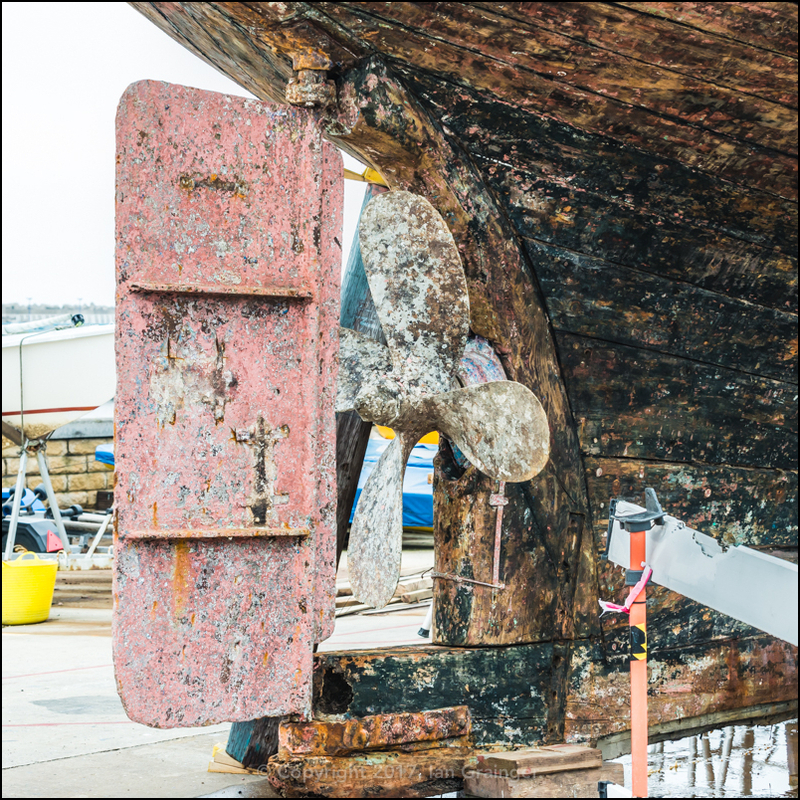 How exciting it was to find this marvellous looking boat that was undergoing lots of restoration work. Subjects like this are a dream for photographers like myself. Unfortunately, I didn't have my macro lens with me, but in spite of that, I still must have taken at least fifty shots, and plan on processing them in umpteen different ways. ...not to mention the hull itself. Wow, what a subject!! Oh, and then there were lobster pots! 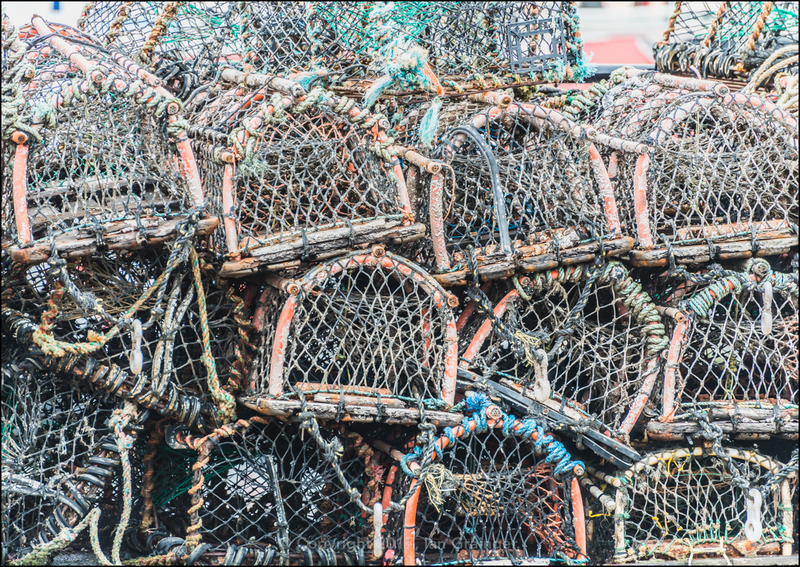 Many, many lobster pots. I couldn't click away fast enough. 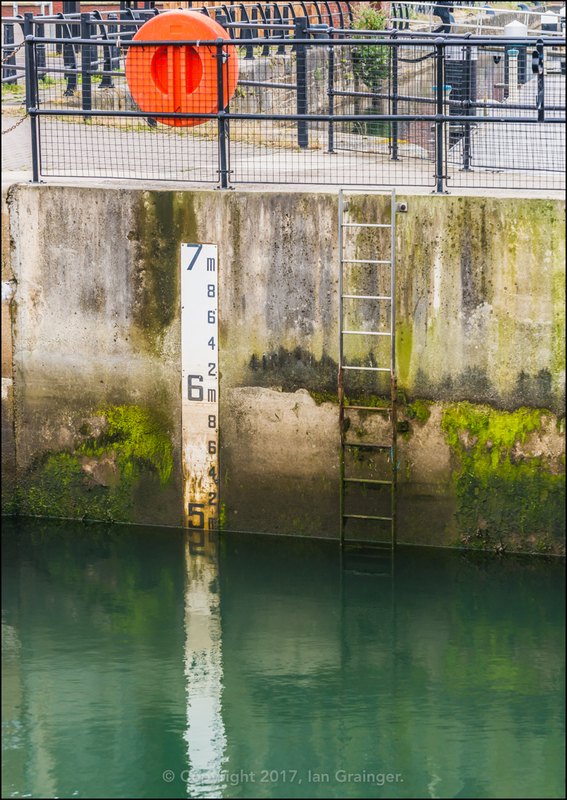 Even the lock gates held a certain fascination, as they held in the green seawater while the tide was out. I love little scenes like this. Not exciting maybe, but full of colour, and, to me, interesting. 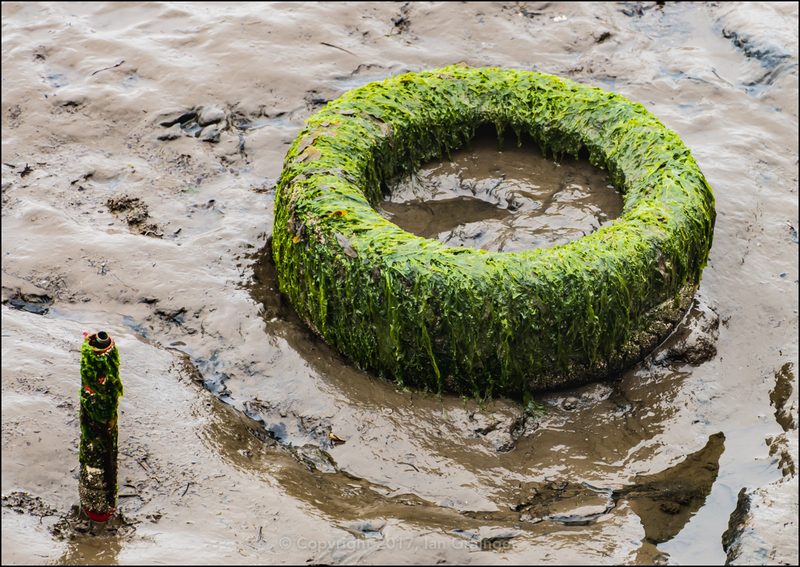 Even an abandoned tyre, covered in seaweed, laying in a muddy harbour held some interest - but that's just me I guess! My photo shoot was almost over, and the rain was heading in again. I couldn't resist shooting this gate leading off to a private residence, although now I look at it again, I'm not sure what drew me to it. 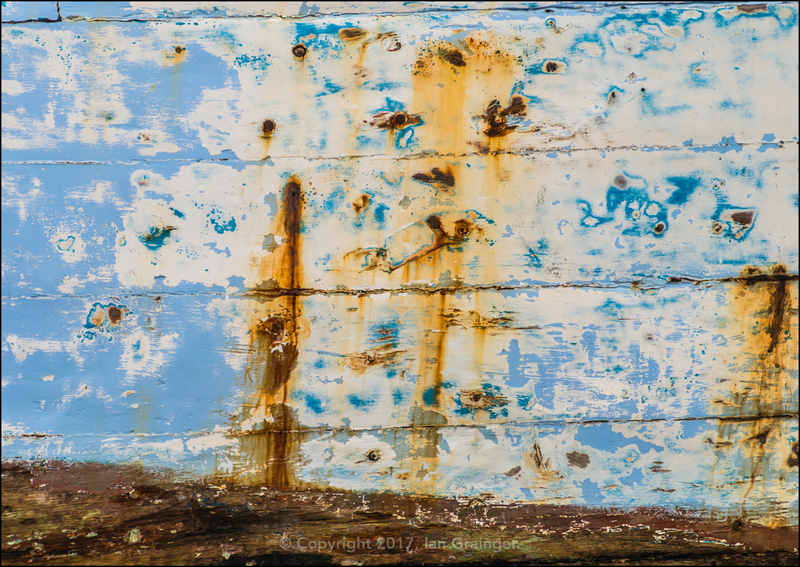 My final two images go back to the history of Hartlepool. 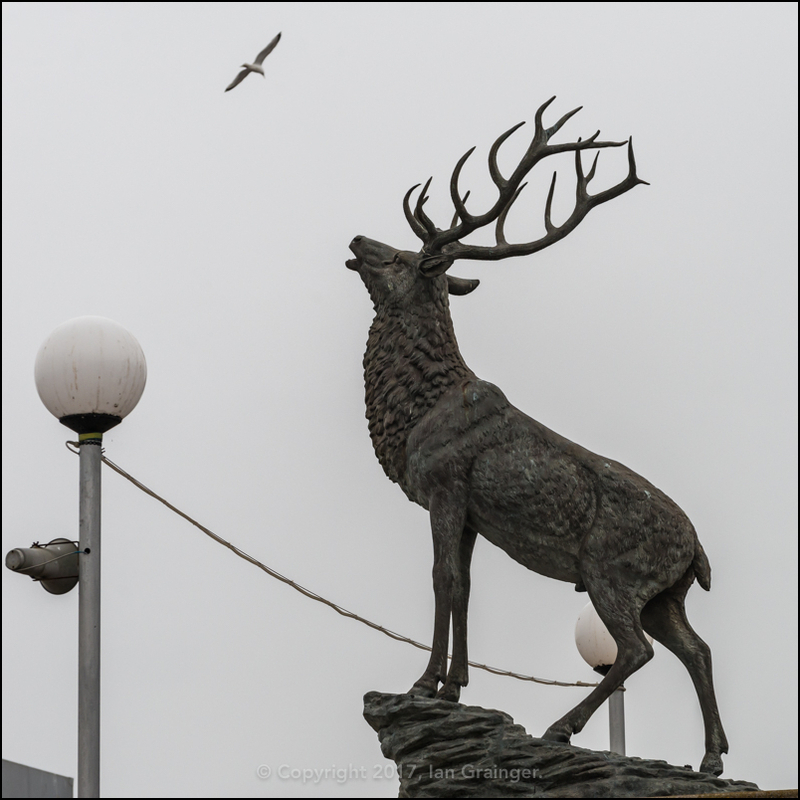 The Stag is the symbol of Hartlepool, although there are conflicting stories about why! Obviously, the name Hart is an archaic word for Stag, but that doesn't explain how the name Hartlepool came about. My preferred story is that the headland was in the shape of a stag's head, and was surrounded by water. Simple! Of course, probably the most famous story about Hartlepool concerns the hanging of a French spy during Napoleonic times. Legend has it that after a French ship had sunk off the coast, a single survivor was found amongst the wreckage, dressed in military uniform. He was brought for trial, and after failing to answer any of the charges, was found guilty, and hung in the town square. 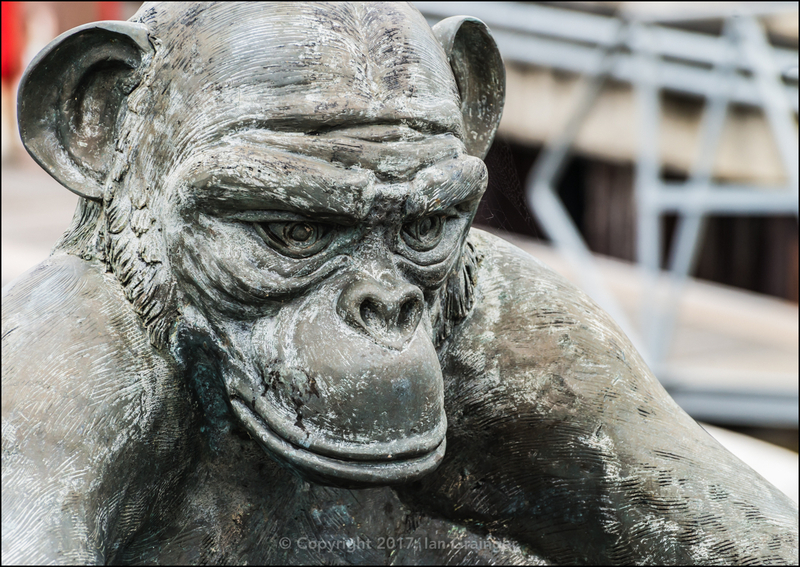 Oh, one thing though, the 'spy' was apparently the ship's mascot, a monkey! Apocryphal tale or not? The darker side to the story is that warships in those times used to employ small boys to prime the canons with gunpowder, who were known as 'powder-monkeys', so the good folk of Hartlepool may not have hung a monkey at all.